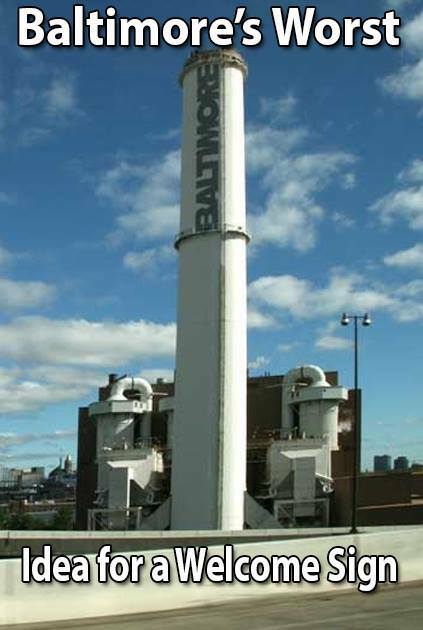 The BRESCO trash incinerator is the largest air polluter in Baltimore, wastes what could be a valuable resource for local businesses using zero waste practices, and connects with a system of steam pipes that put residents and visitors of Baltimore at risk. In May, the City Council passed a groundbreaking resolution committing the city to zero waste goals as a step to phase out the incinerator. That's a long-term goal with a lot of steps in between - from increasing recycling and diversion to changing packaging practices to building new businesses based on repurposing waste - and in the meantime, the less BRESCO pollutes, the better. Late last year, the Maryland Department of the Environment announced that it would consider updating regulations on the amount of nitrogen oxides trash incinerators - namely, BRESCO in Baltimore and Dickerson in Montgomery County - can emit. Dickerson, a newer plant with special pollution controls, already emits less than an average trash incinerator (although still too much - and with other problems of its own). But BRESCO, squeezed on a tiny peninsula in the Middle Branch of the Patapsco River and with a much older design and footprint, far exceeds average incinerator emissions of similar facilities across the country. And although the "waste to energy" industry often touts trash incineration as a source of green energy, it's far from that - BRESCO generated more NOx pollution per unit of energy than any power plant in Maryland. At a public meeting in January, Wheelabrator (the company that operates BRESCO) alleged that it would be technologically impossible to install pollution controls - but environmental allies think differently. And, it appears, the Maryland Department of the Environment does too. A resolution introduced by the Baltimore City Council last week urges the Maryland Department of the Environment to lower nitrogen oxide pollution limits from 210 parts per million to no higher than 150 parts per million over a 24-hour average - similar to Connecticut, New Jersey, and Massachusetts - or even stricter to protect public health. That's in line with what our allies at the Environmental Integrity Project have been encouraging as a minimum health-protective standard. Read the bill here, and watch the bill's introduction here. Ultimately, Baltimore City needs to close BRESCO to have clean air and healthy local economies of zero-waste businesses. But until we do, we should make sure it's polluting as little as possible - and that's a whole lot less than it's polluting now.